It’s difficult to build a dynasty in any sport. It’s even harder to build one in junior hockey, where age restrictions mean that team rosters are in a constant state of change. 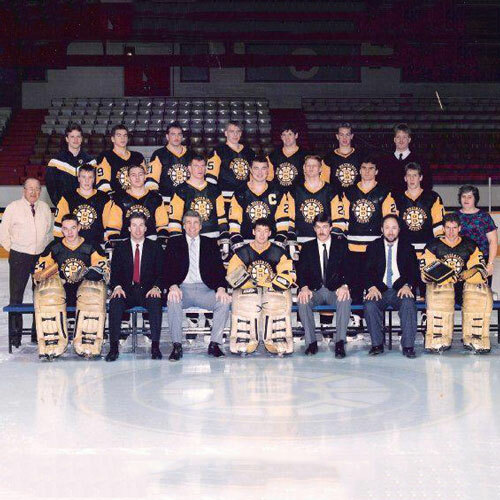 But the New Westminster Bruins defied the odds in the mid-1970s and built a dynasty that still stands as one of the greatest in junior hockey history. 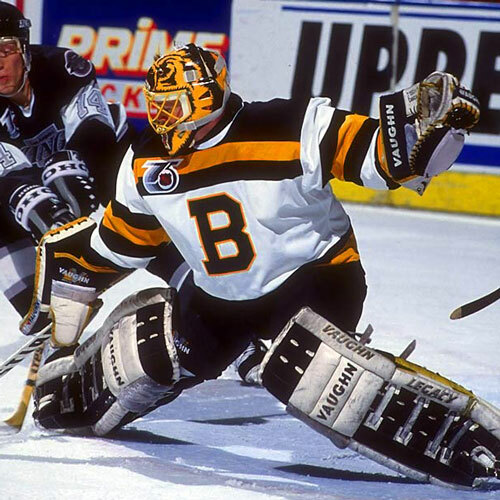 While the name Bruins has been synonymous with the Western Hockey League since its very beginning, the New Westminster Bruins’ chapter in the league’s history is somewhat shorter. The Estevan Bruins were one of the original teams that formed the Western Canada Hockey League in the mid-1960s. The team relocated to the Vancouver suburb of New Westminster in 1971, and began the climb that would see them become one of the most successful – and most talked-about – teams in league history. The Bruins captured their first Western Hockey League title – and made their first Memorial Cup appearance – in 1975. After posting wins over Sherbrooke and Toronto in round-robin play, the Bruins and Toronto Marlboros faced off again in the final, with the Marlies emerging on top 7-3. The crew from New West was back at the Memorial Cup the following year, and again advanced to the championship game, this time coming out on the short end of a 5-2 score against the Hamilton Fincups. With the 1977 Memorial Cup scheduled for Vancouver, the Bruins made their third consecutive trip the big dance. This time they had the fans on their side and it paid off. A 6-5 win over the Ottawa 67s on May 14, 1977 gave the New Westminster Bruins their first Memorial Cup. Not content with just one title, the Bruins again returned to the Memorial Cup tournament in 1978. This time the road was a little rougher to the championship. After winning once and losing twice in the round-robin portion of the tournament, the Bruins needed a 6-3 win over Trois-Rivieres in the semi-finals. That forced a showdown with the Ontario Hockey League champion Peterborough Petes. The two clubs had met twice in the round-robin, and the Petes won both games. But with the title on the line, the New Westminster Bruins dug down deep and came away with an inspired 7-4 win. To be successful on the ice, a team has to be strong off the ice, and the New Westminster Bruins were led by one of the best junior coaches of all time, Ernie ‘Punch’ McLean. After a 15-year stint as the head coach of the Estevan Bruins, McLean made the move to New Westminster with the club. He was behind the New West Bruins’ bench for all four Western Hockey League championships and the two Memorial Cup titles. Punch came by his nickname honestly. The Bruins were a rough and rumble crew and visiting teams dreaded the thought of playing at Queen’s Park Arena in New West. Many times when the fur started flying, McLean was right in the middle of it. 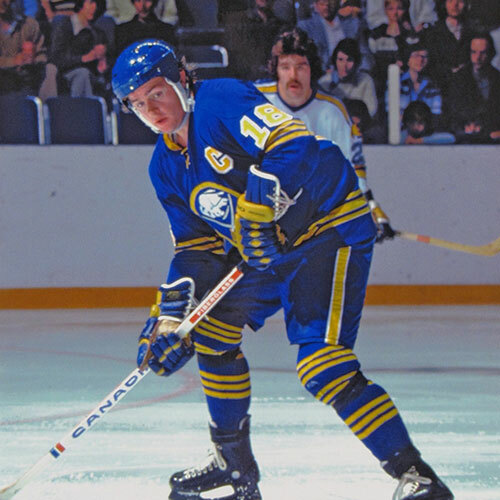 At one time there were 80 players in the NHL who had played under McLean at one time during their junior careers. Several others, including Stan Smyl, Don Hay and Terry Simpson, had followed McLean into the coaching ranks. The first chapter in the short-but-colourful history of the New Westminster Bruins ended in the early 1980s when then Edmonton Oilers’ owner Peter Pocklington purchased the team and moved them to Kamloops, renaming the team the Kamloops Junior Oilers. 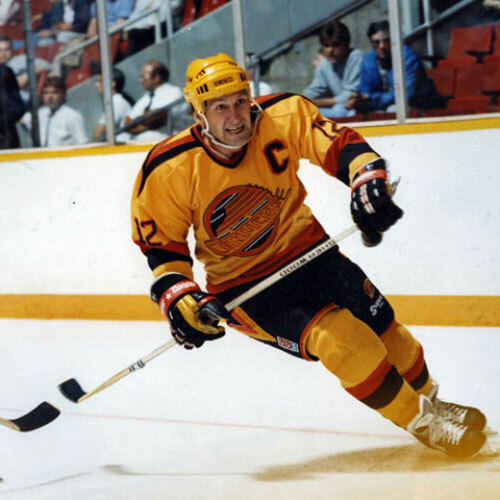 Another Bruins franchise would resurface in New Westminster in the mid-1980s, but they would never return to the glory years of the mid-1970s and the team disappeared after the 1987/88 campaign.